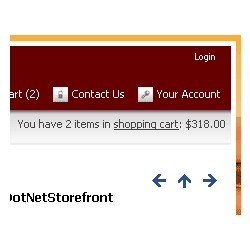 Improve the cart totals blurb in your cart to have item and dollar amount totals. Get this simple "Shoping Cart #" replacement for your cart so that customers can see the number of items they have in their cart, and also the dollar total for the items. Demo it out on this site, see upper right.